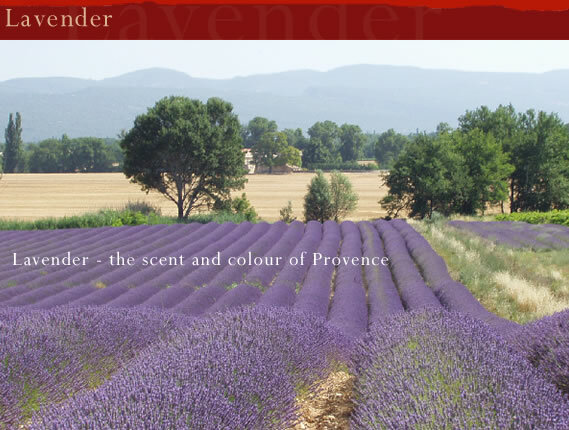 Imagine fields of bright purple and delicate mauve under a deep blue sky, take a deep breath and experience the true scent and colour of Provence. The stunning sight of the Plateau de Sault or the Plateau de Valensole in mid July, the two main areas of lavender cultivation in our part of Provence, are reason enough alone to visit this beautiful part of France. Lavender blooms from late June to August and is harvested from mid July to late August, the exact time being dependent on the region, the plants and the seasonal weather so if you want to be sure to catch the lavender in bloom you should plan your visit from mid June to mid July. If you plan to tour the lavender fields we know the back roads of the area where you can see the lavender at its best, comfortable countryside auberges and chambre d'hotes to stay and the best of the local fetes and farms to visit. 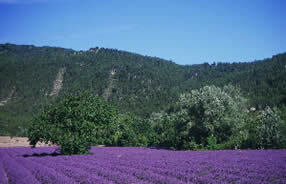 Or you can of course simply include a visit to the lavender area as part of a general visit to the region. Just tell us your preference and we'll plan it for you. Click >>Tailor Made. Let us guide you along the lavender route to see the very best of the fields in full bloom. Visiting the lavender fields is best by car as you can wander at will and take in the sights and stop for photographs or a stroll. 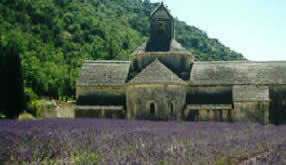 Here the beautiful Abbaye de Senanque is flanked by lavender fields in its peaceful valley setting in the Parc Naturel du Luberon. 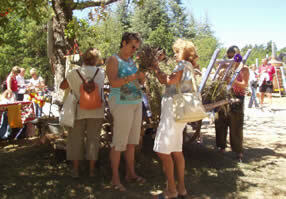 Various fetes are also held in the towns and villages of the lavender growing areas throughout July and August. These jolly fetes are a showcase for local produce and crafts - soaps, essential oils, lavender honey, dried flower bouquets and other myriad uses for lavender, even lavender crepes are not unknown, although not necessarily to be recommended! In August you can visit the distilleries and see the distillation process with the air full of scent as the lavender is crushed to produce the essential oil. 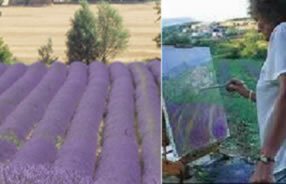 Farms producing lavender, aromatic and medicinal plants also open their doors at this time of the year. You can even join a workshop to learn how to make your own perfume. 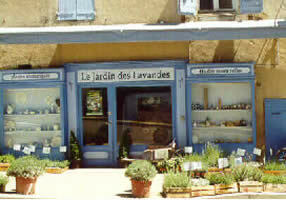 Whether its a scented lavender bag, a simple bunch of dried lavender, lavender honey, lavender soap or lavender essence to perfume your home, there are pretty shops en route throughout the lavender growing area where you will find a variety of locally produced products.